To me, any craft done well becomes art; whether it is cooking, gardening. woodwork, making music or creating an Ugly Drum Smoker (UDS). My Facebook friends have seen a picture of the smoker my son made for me (I bought the parts) at its delivery. Since then it has cured with a hot fire for several hours and later launched into its first food creation . 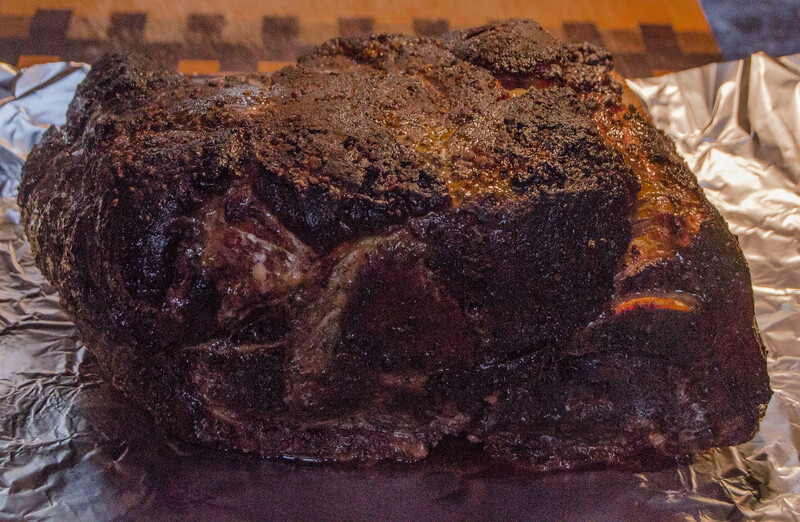 . . a smoked pork shoulder. 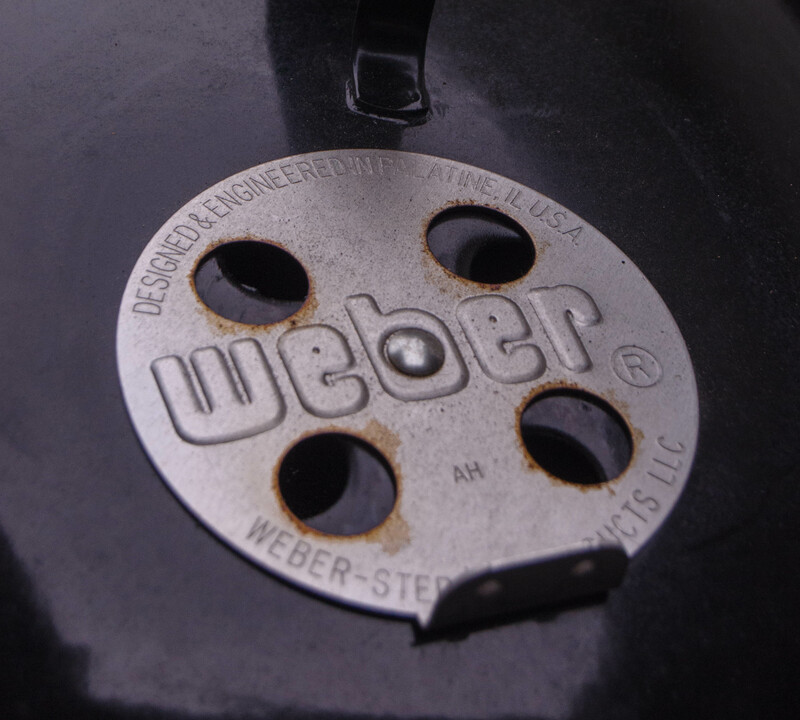 For many, barbecue means smoked low and slow as opposed to grilling. 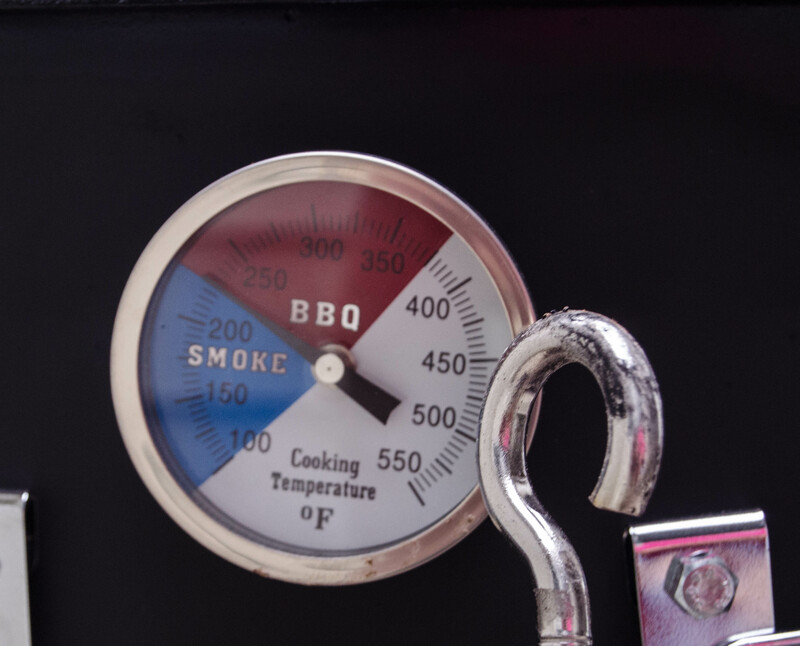 For those that prefer smoking to grilling, the goal is a slow cook (about 200-220 degrees F) for many hours. I prefer natural lump charcoal and applewood chunks for pork. 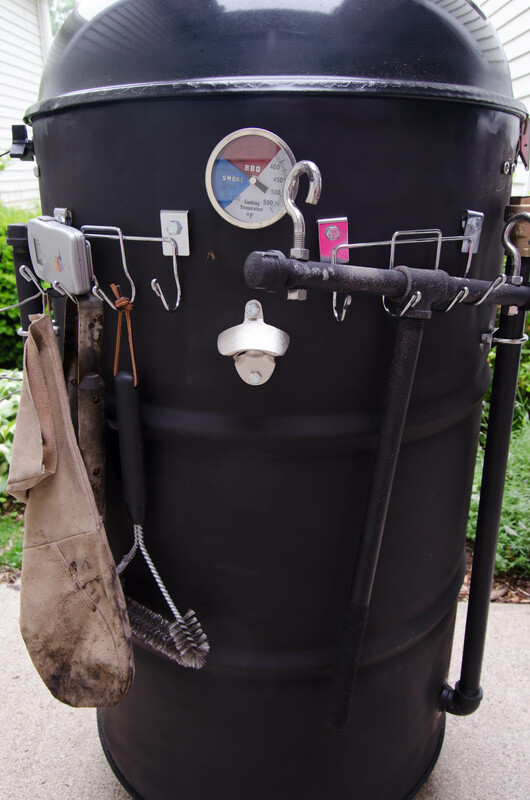 Here’s the art of a finely crafted smoker. One of three air-intake pipes. Two with screw caps that are either on or off and one with a valve. 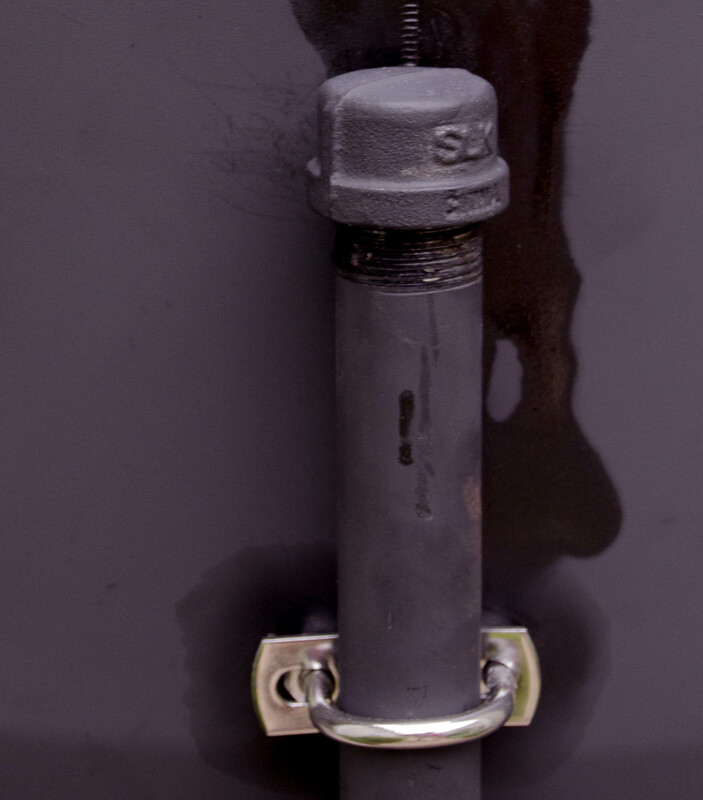 These are used to control the heat in the 55 gallon drum. 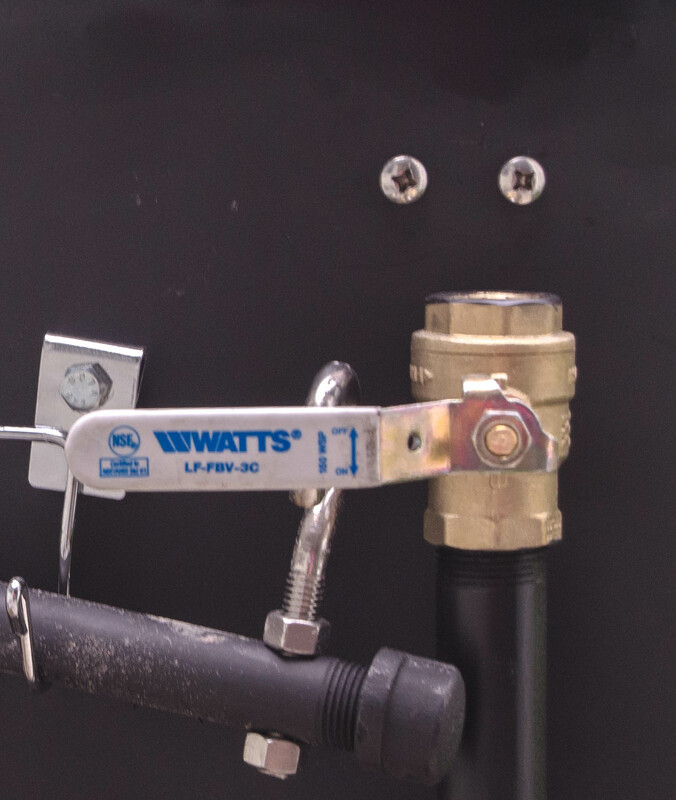 Here is the pipe with a valve control that can be closed or set at various degrees of open. The goal is a steady low temperature. These holes can also help with heat control, but are used more for smoke control. These holes can be covered with the magnet on the right, They are for temperature probes to monitor the temperature of the meat. 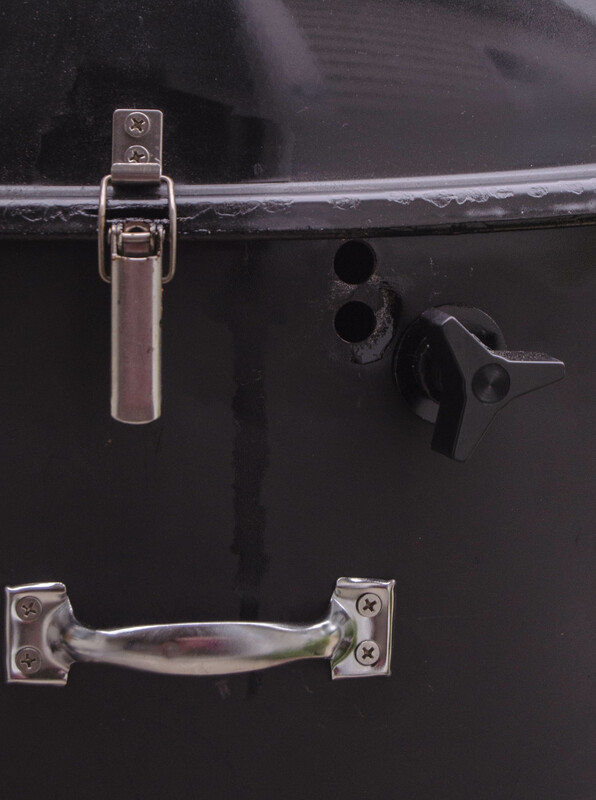 This grill has a total of four holes as you can cook as many as 6 pork shoulders at a time. I aim for a meat temperature of 185 degrees for fall-off-the-bone tenderness. Here’s the front of the grill with protective mitten, tongs, grill brush, tool for setting coal basket in place, meat and smoker thermometers, and bottle opener. The finished product ready to be pulled or chopped. 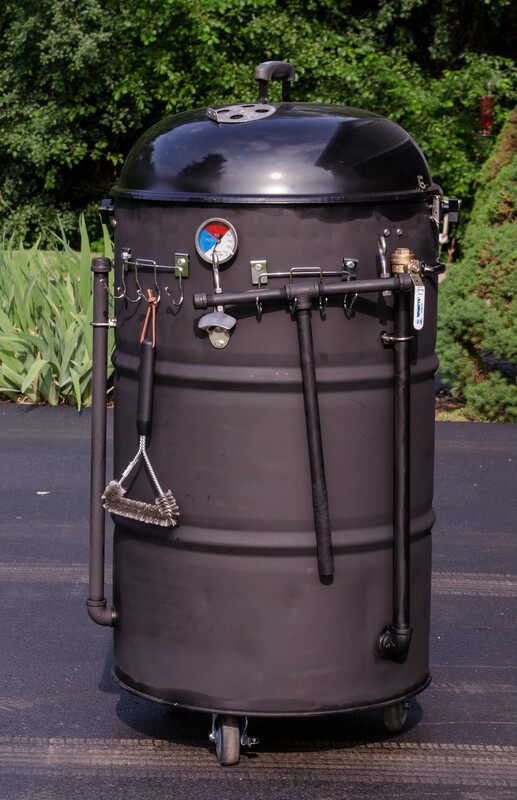 It’s name (Ugly Drum Smoker) refers to its aesthetic simplicity, but I consider it a beautiful work of well-crafted art. Thanks Sean!